An ambitious plan to build a tram route linking north Kent and Essex would be a tenth of the cost of the Lower Thames Crossing yet would take just 4% fewer commuters, according to the people behind the scheme. The project was proposed earlier this year as a secondary way to relieve congestion in Dartford, as work accelerates on the controversial LTC, which the government has earmarked for east of Gravesend, despite the efforts of local campaigners. 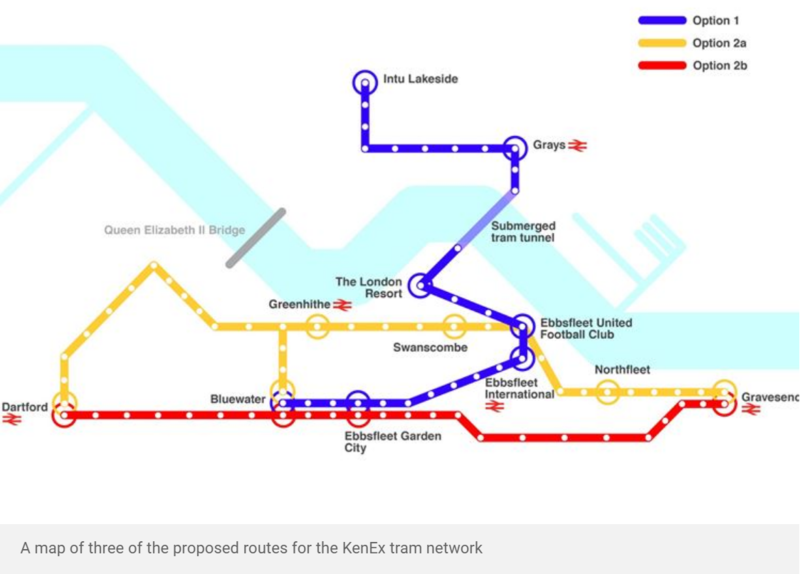 A map charting proposed stops for the tram route, known as KenEx Thames Transit, has also been released, with three potential routes identified, as the project ramps up a gear. If the scheme goes ahead, two of those routes – one between Lakeside and Bluewater and another connecting Dartford and Gravesend – will be built within the next five years. The £600million price tag is just a fraction of the £4.4bn-£6.2bn cost of the LTC due in part to the newly proposed ‘cut-and-cover’ tunnelling method – which would see a trench excavated along the bed of the Thames and sections of the single-track tunnel sunk into position. The construction method has been used on 100 projects worldwide, including the Medway Tunnel. A tram could run along the route every six minutes, carrying 2,000 passengers in each direction every hour and five to six million people a year. Transport campaigner James Willis, who is backing the scheme, said while the LTC, which is expected to be delivered by 2026, would ease traffic at the Dartford Crossing by 14%, KenEx could take 10% of the crossing’s users and halve journey times as it would not be dependent on traffic flow. Would you use a tram route linking north Kent and Essex? 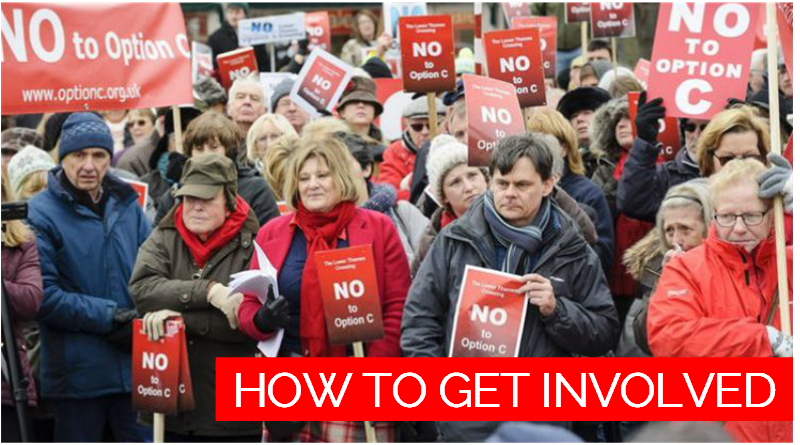 Visit KentOnline to take part in the poll and view the latest results. He said: “We’re not proposing this as an alternative to the Lower Thames Crossing but rather an addition which could be delivered far sooner in order to solve a very real problem. This year KenEx representatives have met with Ebbsfleet Development Corporation; London Resort Holdings; Dartford, Gravesham and Thurrock councils; Adam Holloway MP; various MEPs; the All Parliamentary Light Rail Group and hundreds of residents from both sides of the river. Further details are available on the KenEx website.